Vincent writes about Urbanism, Right to the city and Lifestyle. 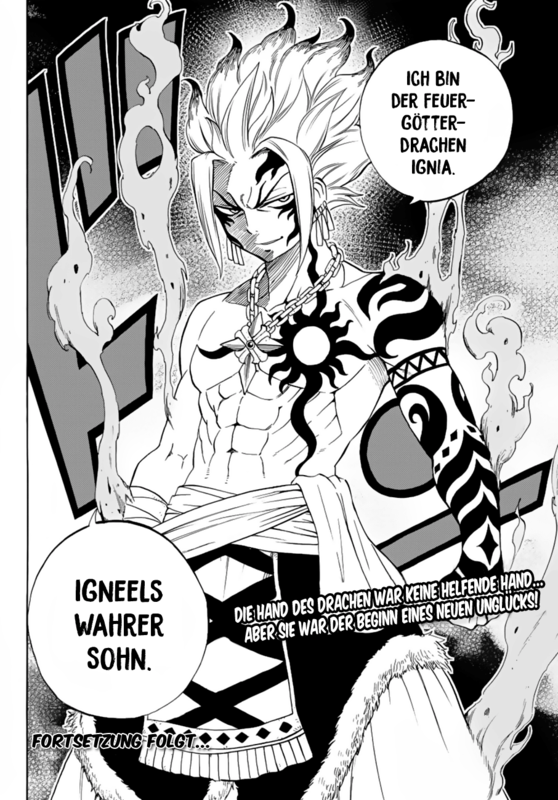 Currently living in Paris, he is doing translations to english, german and french. He did an internship at the online-newspaper Netzpolitik in 2017. Marcher au bord de la mer est censé aider à réduire le stress. Le bruit des vagues qui s’écrasent et le soleil qui se couche, peut vous offrir un environnement paisible. Cependant, de nos jours, il faut faire face à autre chose. 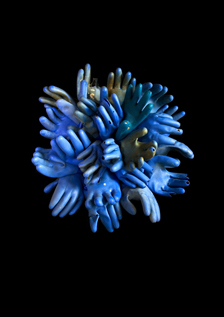 Des gobelets, des lames de nylon et des éclats de plastique nous entourent. Les déchets humains ont remplacé les pierres, les cailloux et les coquillages. La bakélite, le premier plastique synthétique, a été créé en 1907. A partir de ce moment, l’avenir du monde semble être compromis. Selon un rapport de l’ONU, 13 millions de tonnes de plastique se déversent dans les océans chaque année. Et en raison de leur durabilité et de leur indestructibilité, les polymères plastiques mettent plus de cent ans à se décomposer. 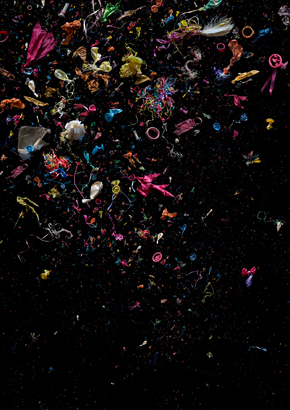 L’énorme quantité de cette matière synthétique dans les fonds marins a affecté l’écosystème océanique et a déclenché une nouvelle époque : l’ère de la pollution marine plastique. Comme le souligne le Marine Pollution Bulletin, les effets négatifs de la pollution plastique ont un impact sur la société, l’économie et le bien-être humain. Les débris marins sont sans aucun doute une source de stress environnemental. Elle entraîne une détérioration excessive du milieu aquatique. En retour, les gens auront des difficultés à mener à bien certains secteurs liées à l’utilisation d’eaux propres. Mais comment pouvons-nous arrêter cette catastrophe à échelle mondiale ? Comment contribuer à préserver l’eau et la biodiversité ? Des chercheurs de l’Université de Tel-Aviv ont développé un plastique durable et biodégradable composé d’algues marines. 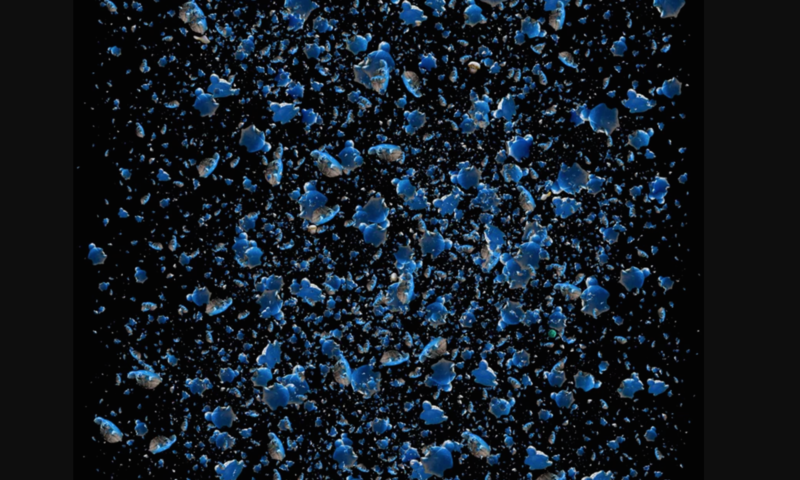 La solution contre la culture du plastique nocif est d’utiliser les polymères à l’intérieur des organismes marins unicellulaires. Les objets construits avec ce plastique particulier seront bon marché et se décomposeront rapidement. 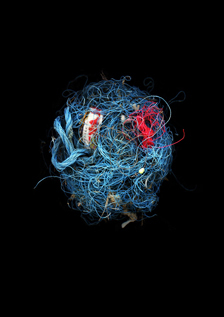 Le bio-plastique marin peut devenir une découverte révolutionnaire non seulement pour les océans mais aussi pour notre propre société. Cet éco-plastique pourrait être utilisé pour une vaste gamme de secteurs, dont la fabrication de vêtements ou l’emballage alimentaire. Voilà une innovation qui représente le rôle humain dans notre société : la capacité à trouver un équilibre entre progrès et respect de l’environnement. Ireland. Vacancies, expensive rents and slumlords are driving more and more people into homelessness. Dublin is particularly affected. This summer, various grassroots initiatives began to defend themselves and draw attention to the housing crisis. The background to a summer of occupations. Wiliam Murphy, photographer from Dublin, lived in San Jose, California, in 1979 when he visited San Franscico on a weekend and witnessed homelessness on the streets for the first time in his life. For him – shocking and unusual, because in 1970 it was customary for the Irish state to guarantee people a roof over their heads. Many of his colleagues lived in Cremlin, Bellyfermon and Cabra. This was to change, however, when the state handed over the construction and maintenance of social housing to the private sector. After his return to Dublin in 2007 he began to notice the increasing number of people sleeping ruff in front of the shops in the city centre. Back then he fell on atears at his workplace because his colleagues either didn’t believe him or claimed they were drug addicts. But since then the problem has worsened to a point where it is no longer possible to talk down the problem of homelessness. Thanks to his experience abroad, Murphy has found parallels with the housing situation between San Franscico and Dublin. Both being cities which aren’t affordable for the working-class. The current homelessness problem leaves him with a bitter aftertaste. Especially since he himself was affected five years ago and had to fight to pay off his mortgage. Five years ago, when he himself was affected by mortgage payments on his apartment, the current situation touched him. Murphy archives the streets of today’s Dublin with his camera. 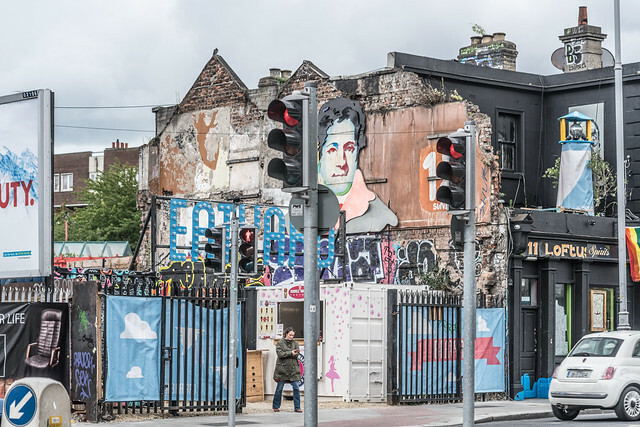 When I was in Dublin at the beginning of July last year, some situations caught my attention: On the one hand, the many tourists and language students who led an exuberant life between learning English and bar hopping. And on the other hand the high number of homeless and homeless people, who stood in contrast to the huge number of empty and barricaded houses. According to the Focus Ireland charity and government surveys, the number of homeless people in Ireland in 2014 was just under 4,000, rising to almost 10,000 in four years. Individuals and families in private tenancies suffer. In October (2018), 1700 families, including 3725 children, went to emergency shelter. But the number of unreported cases is probably much higher, as many people get caught up in their social network of friends and acquaintances ( – couch surfing). However, these cases are not recorded in the statistics. The housing shortage has steadily worsened since the economic crisis in 2008. Among other things for the purpose of the legislative decision to cut funds for social housing between the crisis and 2014 by 72% and to bet on private landlords. As a result, the budget fell from 1.34 billion to 390 million euros. 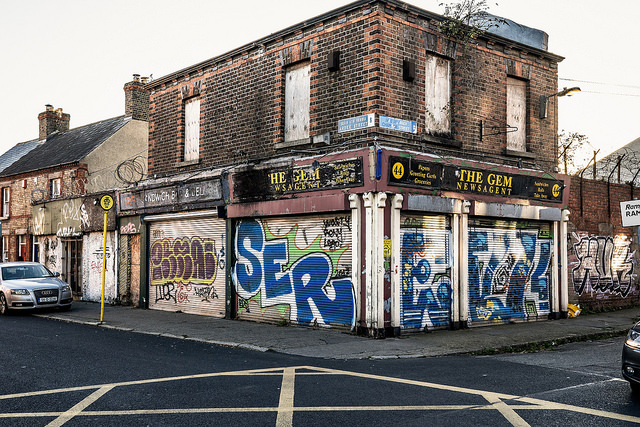 In 2015, the Dublin Inquierer produced a first incomplete map of empty buildings. This already included a number of 389 units. The vacancy is easy to see – between the barricaded windows, decaying facades and high barriers of these buildings. The following year, when the Housing Agency published a vacancy report for Dublin, 38,000 vacant properties were listed. Since then, according to TheGuardian, the number has fallen to 30,000 vacant properties by 2018. Yet the number of homeless people has increased which is why people have to sleep on the streets despite such a large amount of unused residential space. However, the affected citizens do not admit defeat and begin to point out the grievance by creative methods. The Irish Housing Network (IHN), for example, called in the summer, for vacancies throughout Ireland to be marked with yellow posters. On a yellow background, the outline of a family under a roof is displayed and joined by the sentence: “Shame on you – this could be a home”. 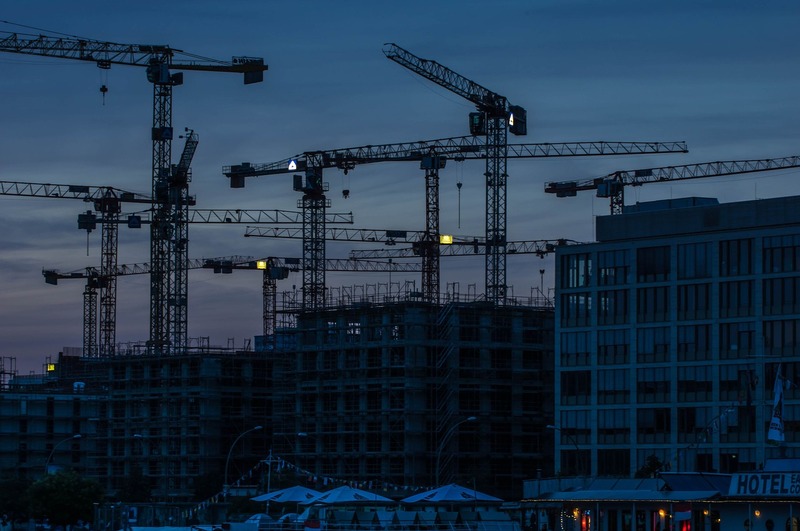 The problem of vacant buildings, which are either in very poor condition and have been waiting for years for a new development or remain unused for speculative reasons, characterises the urban landscape. Dublin, with its high rents, is lucrative for real estate sharks, who are driven up by vacancies. Providers such as AirBnB also take Irish housing away, as the owners, in addition to a high profit margin, do not have to adhere to the classic tenancy law. Dublin, as a university and language school city, is particularly affected. But the 1300 holiday apartments and 1100 rooms listed by InsideAirBnB are only the tip of the iceberg. In the clutches of the Irish Slumlords. Particularly bad landlords are known in linguistic usage as slumlords. They are the Irish version of the French “Marchands de sommeil”. These rental sharks rent rooms with six to eight beds for up to 450 Euros per capita. Mostly this concerns people in precarious situations who do not have the possibility to defend themselves. These overcrowded sleeping quarters are not maintained by the slumlords. Fire protection deficiencies and mould on the walls are part of their everyday lives. Those who end up in such dubious tenancies rarely receive the prescribed rental book. In this the personal data of the owner must be noted, as well as a listing of the past rent prices show. It is intended to protect tenants from arbitrariness, but in the absence of rigorous implementation, this rule is disregarded in many cases. Those affected find themselves in a dilemma because they depend on accommodation and do not always have the means to assert their rights. 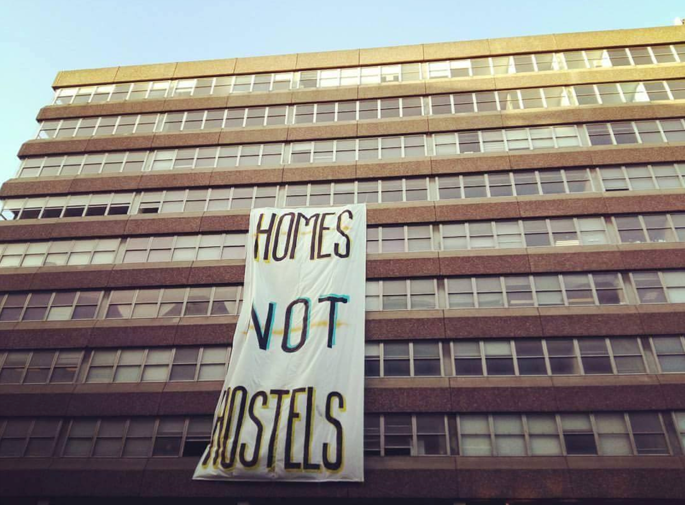 The six tenants at Mountjoy Square in Dublin 1 found themselves suddenly on the street at the end of last year when they found themselves expelled from their apartment on 13 December. The owner had changed the lock on the front door and put all their belongings in plastic bags on the street. Previously they had gone to court against their landlord. The state of the apartment, with a broken window and mold on the walls, as well a preceding arbitrary rent increase from 650 to 750 Euros, had become too much. The expulsion, which took place in winter, is considered illegal by Slumleaks. May. A few blocks from Mountjoy Square: The residents of five houses in Summerhill Parade 33-39, Dublin 1, were evicted from their rooms. These, who shared the accommodation with up to twenty other tenants per house and are to a large extent of Brazilian origin, were unable to name the owner of the houses in an interview with the Irish Times. The residents were supported by various grassroots initiatives including the Dublin Central Housing Action, Take back Trinity, Brazilian Left Front and four other local movements. August 7th – In protest, the groups begin to occupy Summerhill Parade 35 and draw attention to the local housing problems. For months now, the Dublin Central Housing Action has been organising a Facebook campaign against Pat’ODonnel. This and his investment fund, the “Co Ltd Retirement and Death Benefit Plan” – a pension fund of 67 members. At the beginning of August, a spokesman told the Irish Times that the O’Donnels did not own the properties in the Summerhill Parade. However, in mid-August, Pat’ODonnel filed a lawsuit against the occupiers on behalf of his pension fund. In the video the squat is officially declared, one of the activists gives a speech about the situation of the people and demands a purchase right of the city on Pat O’Donnel’s house. The words are not heard and ten days later the activists leave the building in a demonstration, marching with a banner: “Build homes, not profits”. August 17 – The court decided to evict them. 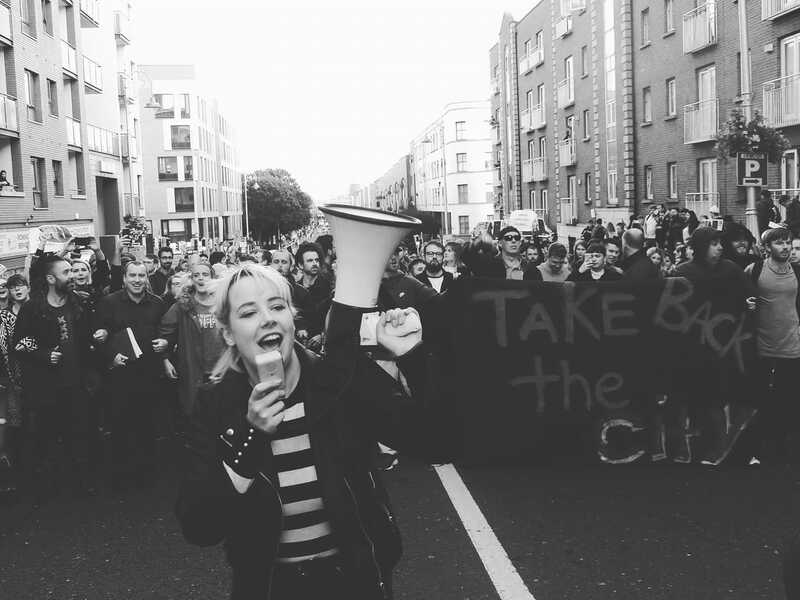 750 metres and a few bends further, the activists from Take back the City (TBTCDublin) marched into a vacant house on Frederick Street North 34, owned by an insurance company and standing empty for three years. 25 August – On the occasion of Pope Francis’s visit to Dublin, activists proclaim a Saturday of action in which the house is occupied exclusively by women and children. The activists see this as a reminder of the fact that single parents and their pupils had to do forced labour in the Magdalenen laundries until the late 20th century. A national trauma for which the Irish state apologised to over 10,000 people as late as in 2013. 11 September – Two weeks earlier, the court had once again ruled in favour of the landlords, but the house remained occupied. More and more people are supporting TBTCDublin. Suddenly that Tuesday evening at about seven o’clock, a sprinter with no numberplate on the front appeared and masked persons emerged. The privat hired contractors tried to gain access to the house and only calmed down when the local police arrived and took over. Five of the activists were brought to the police station on Store Street in a rabid manner. According to the newspaper Thejournal, which reported in detail about the eviction, up to 100 demonstrators gathered in front of the house. Later, the demonstration moved outside the police station, whereupon three of the activists were released. Nevertheless, the house project was ended. 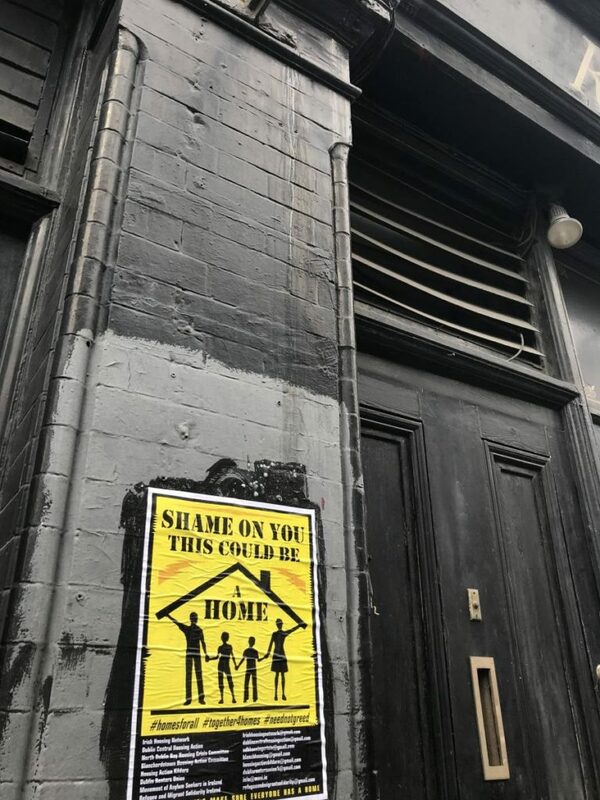 In solidarity with TBTCDublin, squatting took place throughout Ireland, such as in Waterford, where activists held a 24-hour occupation of an empty building in the city. 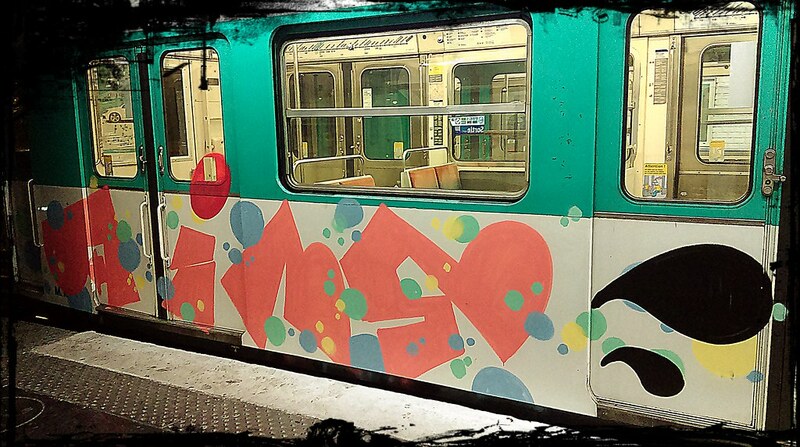 Paris – differences between income classes deepens. The newspaper Lemonde explored this question in an interview with sociologists Monique Pincon-Charlot and Michel Pincon. These two, close to the anti-capitalist left. are researching among other things the state of social and urban segregation. 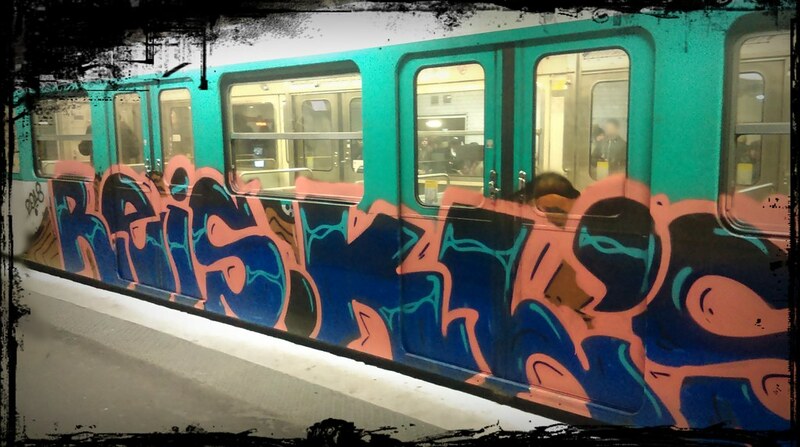 Specially in Paris the population has changed drastically since 1954. Whereas 34.5 percent of the population were in middle or higher occupations at the time, this figure had risen to 71.4 percent by 2010. This is due on the one hand to the de-industrialization since 1962, the banlieues and the global importance of Paris as a financial sector. Rich and rich remain among themselves. In the “Beaux Quartiers” such as the 16th and 17th or suburbs such as Neuilly sur Seine, the wealthiest city in France, worlds of their own are formed and thus also a gap between the poor and the wealthy. In Saint Denis, north of Paris, a couple earns on average 2154 € per month. Singles are doing best with an average of 1487 € and still live at the minimum. The newspaper La Gazette des Communes looked into the question of the extent to which inequalities exist in the Greater Paris region and summarised them in a map. The Banlieues Argenteuil, Aulnay-sous-Bois, Montreuil and Saint Denis had a poverty rate of at least 20 percent at the end of 2015. Saint-Denis even exceeds the others with a rate of 35%. And that with a share of social buildings, that is around 33 percent. These are in stark contrast to the areas in the west of Paris, like La Defense, where more than half of the municipalities fail to meet the statutory quota of 20-25 percent of social buildings. Instead, suburbs like Neuilly Sur Seine, with a 5% share, prefer to pay fines and maintain their homogeneity. New developed area “Les Docks” in St. Ouen (93), a suburb of Paris, which becomes more and more interesting for investors. The 2024 Olympic Games and the opening of the new Porte de Clichy Palace of Justice contributing to it. In the light of the Grand Paris and its expansion of the infrastructure, one has to wonder to what extent the suburbs will be gentrified. Even though some municipalities, especially in the north, have so far taken measures to maintain diversity among the population, many students from the middle class are now moving to the suburbs. It is not without reason that the left-wing medium StreetVox is concerned about developments in the Seine Saint Denis in the shadow of the 2024 Olympic Games. For example, commercial buildings, housing for students and migrant workers were destroyed. While the companies and students moved, this is not the case for the housing of the migrant workers. This, which had housed foreign workers since 1972, was replaced by a social building. But also the magnetic attraction of the Olympic Games on investors is a key question. We reported previously on JPMorgan and its AdvancingCities initiative. The Olympic Village, which will accommodate a large number of Olympians with 17,000 beds, will later be converted into 22,000 apartments, 900 student accommodations and 100,000m² of commercial space. The newly created apartments will be marketed as condominiums with standing and will probably not be affordable for the average population of the Seine Saint Denis. 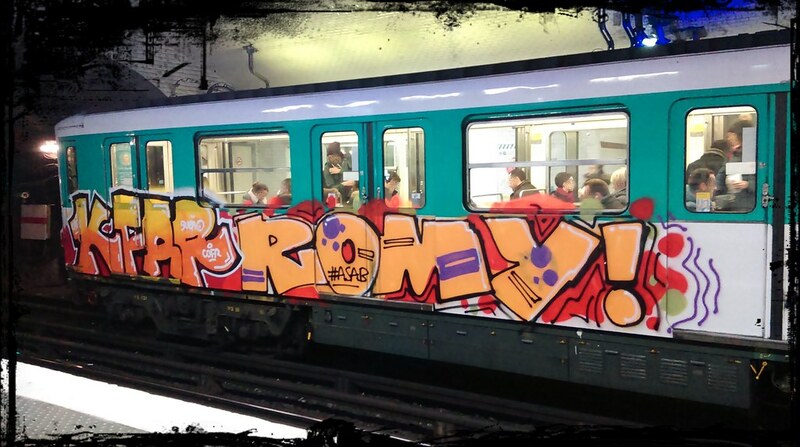 Paris – riche et riche aiment s’y joindre? Le journal Lemonde a exploré cette question dans une entrevue avec les sociologues Monique Pincon-Charlot et Michel Pincon. Ceux-ci sont des chercheurs proches à la politique de la gauche anticapitaliste qui s’occupent de la ségrégation sociale et urbaine. En particulier la population de Paris a subit des changements radicales depuis 1954. Alors que 34,5 % de la population occupaient des postes de niveau intermédiaire ou supérieur à l’époque, ce chiffre était passé à 71,4 % en 2010. Ceci est dû d’une part à la désindustrialisation depuis 1962, aux banlieues et à l’importance globale de Paris en tant que secteur financier. Les riches et les riches restent entre eux. Dans les Beaux Quartiers comme les 16ème et 17ème ou les banlieues comme Neuilly sur Seine, qui est la ville la plus riche de France, des mondes à part et donc aussi une fracture entre les pauvres et les nantis. Si Paris, en tant que capitale culturelle, offre à ses habitants de nombreux spectacles, expositions et vie nocturne et est la première ville au classement des villes ayant le meilleur niveau de vie, la situation est différente à quelques pas du Périphérique : À Saint Denis, au nord de Paris, un couple gagne en moyenne 2154 € par mois. Les célibataires se portent bien avec 1487 € et vivent quand même au minimum. Le journal La Gazette des Communes s’est penché sur la question de savoir dans quelle mesure les inégalités existent en Ile-de-France et les a résumées sur une carte. Les Banlieues Argenteuil, Aulnay-sous-Bois, Montreuil et Saint-Denis avaient un taux de pauvreté d’au moins 20% à la fin de 2015. Saint-Denis dépassant même les autres avec un taux de 35 %. Et cela avec une part de bâtiments sociaux. C’est à peu près 33 pour cent là-bas. Elles contrastent fortement avec les zones de l’ouest de La Défense, où plus de la moitié des communes ne respectent pas les quotas légaux de 20 à 25 % des bâtiments sociaux. 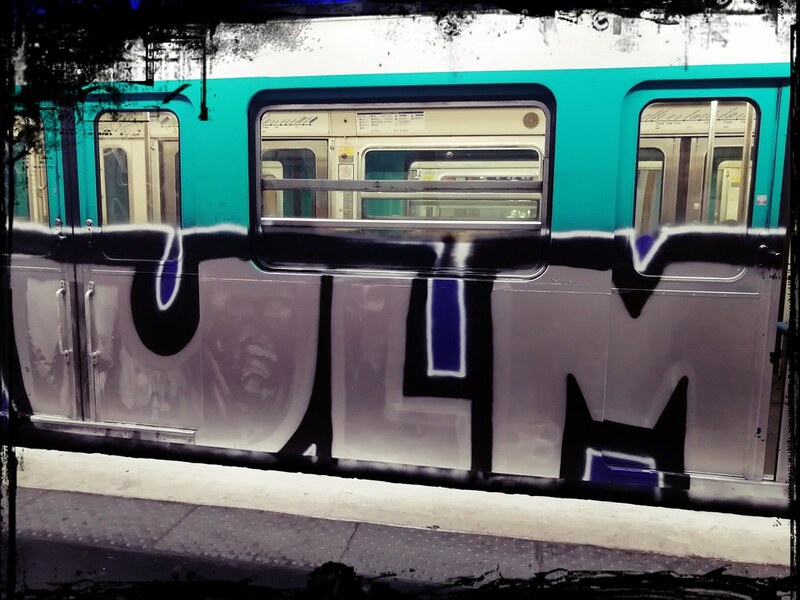 Au lieu de cela, les banlieues comme Neuilly Sur Seine, avec une part de 5%, préfèrent payer des amendes et maintenir leur homogénéité. À la vu du Grand-Paris et de son extension des infrastructures, on peut se demander dans quelle mesure les banlieues seront gentrifiées. Même si certaines municipalités, surtout dans le Nord, ont jusqu’à présent pris des mesures pour maintenir la diversité au sein de la population, de nombreux diplômés de la classe moyenne déménagent maintenant dans les banlieues. Ce n’est pas pour rien que le journal de gauche StreetVox se dit inquiet des développements en Seine Saint Denis à l’occasion des Jeux olympiques de 2024. Des immeubles à usage de bureaux et des habitations pour étudiants, pour travailleurs migrants ont été détruits. Si les entreprises et les étudiants ont déménagé, ce n’est pas le cas pour l’hébergement des travailleurs migrants. Celui-ci, qui abritait des travailleurs étrangers depuis 1972, se voit être remplacé par une résidence sociale. Mais l’attrait magnétique des Jeux Olympiques pour les investisseurs est également une question déterminante. Nous avons fait rapport sur JPMorgan et son initiative AdvancingCities. Le village olympique, qui accueillera un grand nombre d’olympiens avec 17 000 lits, sera par la suite transformé en 22 000 appartements, 900 logements étudiants et 100 000 m² d’espace commercial. Les appartements nouvellement créés seront commercialisés sous forme d’habitations en copropriété de standing et ne seront probablement pas abordables pour la population moyenne de la Seine Saint Denis. Dans le cadre du “Projet de métro souterrain” de la ville indienne de Bombay, une étape importante a été franchie dans la construction du métro (ligne 3). 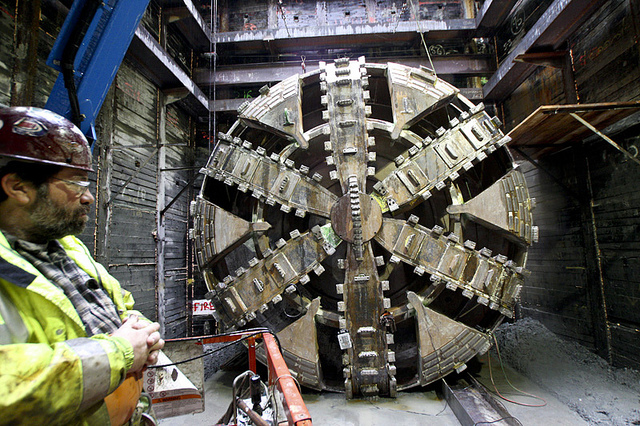 L’arrivée du 17e tunnelier, qui doit encore être installé dans le sol, marque le début imminent des travaux. Ceux-ci sont exportés par Mumbai Metro Rail Corporation Limited (MMRC). Comme prévu, les machines foreront simultanément un tunnel de 54 kilomètres entre Colaba et Bandra Seepz. Au total, la première ligne de métro souterrain Bombays devrait être longue de 33,5 kilomètres et achevée d’ici 2021. La ligne de métro reliera le quartier d’affaires de Cuffe Parade (Colaba) à l’extrémité sud de Bombay à la zone économique spéciale SEEPZ au nord. Il y a 26 stations de métro et une station en surface prévue pour cette ligne. Le coût de construction de la ligne de métro souterraine est estimé à 3,2 milliards de dollars. La ligne 3 aura une capacité de 1,39 million de passagers par jour et passera 1,2 kilomètre sous la rivière Mithi. 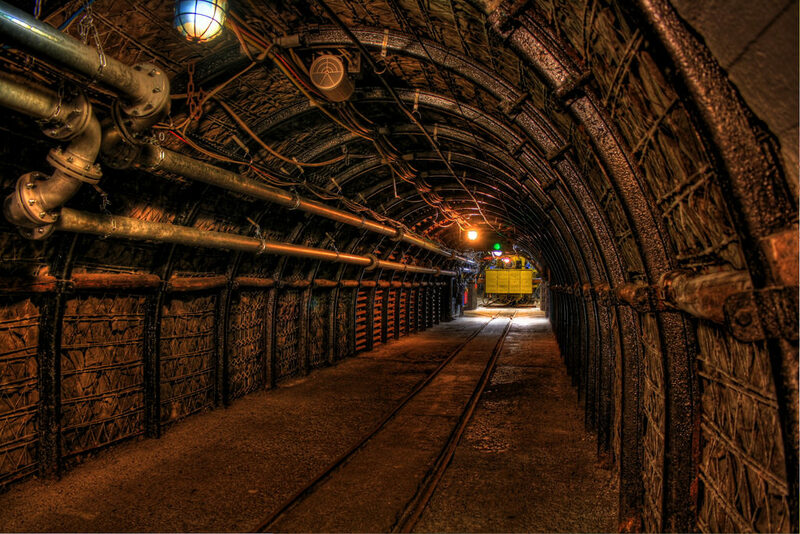 Avec l’installation des 17 derniers tunneliers à être positionnés à des profondeurs de 25 à 30 mètres, MMRC a annoncé qu’elle souhaitait commencer les travaux dès que possible. On dit que 10,7 kilomètres ont déjà été forés. L’entreprise peut-elle respecter son calendrier ? 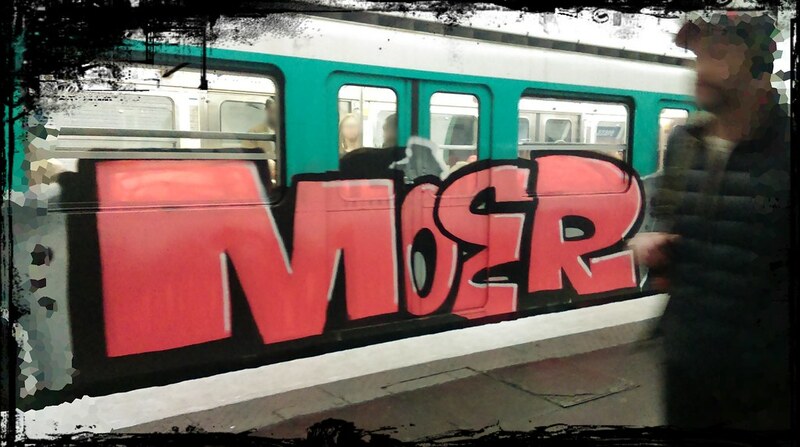 Alors que les aventuriers voyageaient dans le Far West à la recherche d’aventure, d’or et de richesses, les graffeurs et vandales les plus divers sont aujourd’hui attirés par Paris. La raison ? 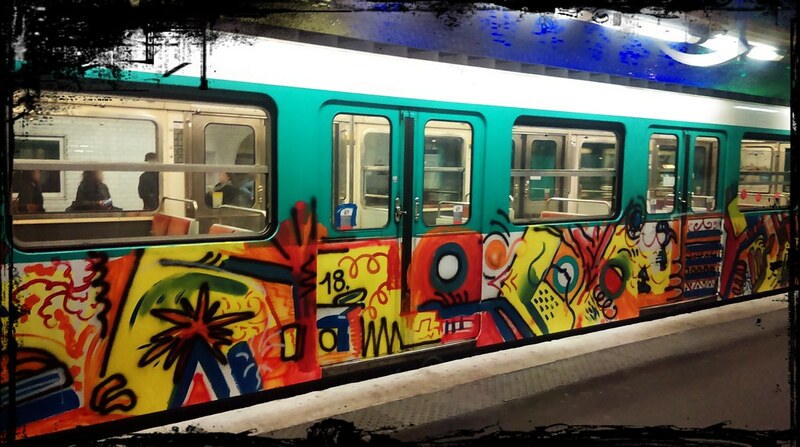 La ligne 12 du métro qui traverse Paris du nord de la Banlieue Aubervillier au sud d’Issy-les-Moulineaux. 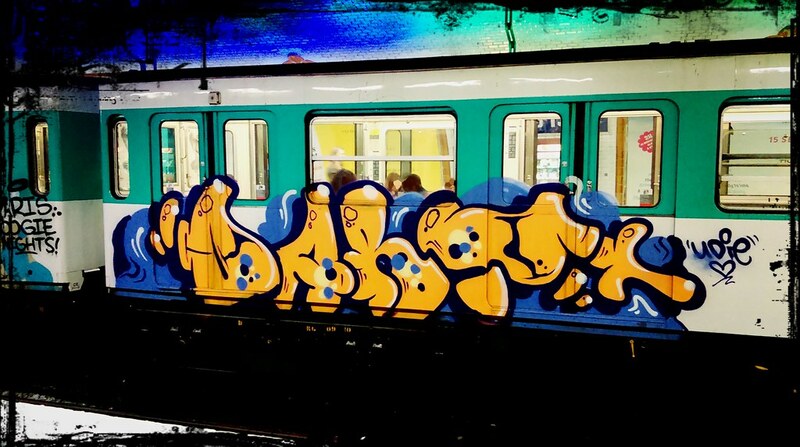 Que ce soit un graffiti par jour dans le métro ou cinq. Le dépôt de la 12 est d’humeur ruée vers l’or. 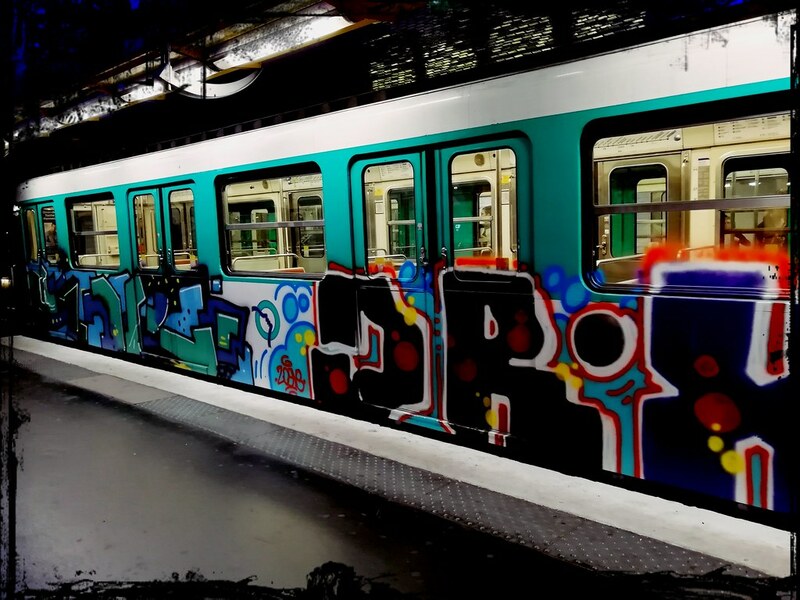 La ligne de métro jouit d’une grande popularité parmi les nombreuses équipes de graffiti locales et internationales. 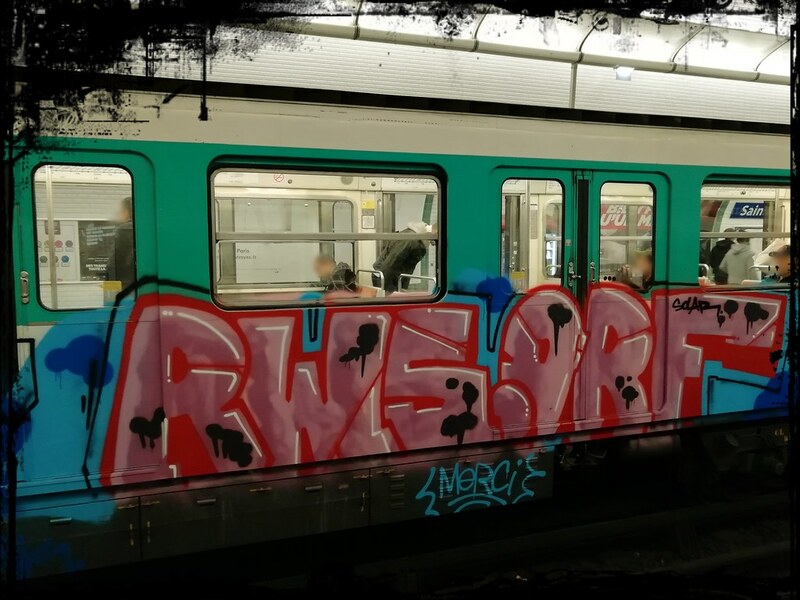 De Reis (Lisbonne) à RWS & ORF (Bonn) la méchante ligne 12 est un lieu de pèlerinage du graffiti parisien. Les modèles MF67, qui ont fêté leur première apparition entre 1967 et 1978, sont populaires parmi les sprayeurs pour son design. Les trains utilisés auparavant par Sprague-Thompson ont été remplacés. 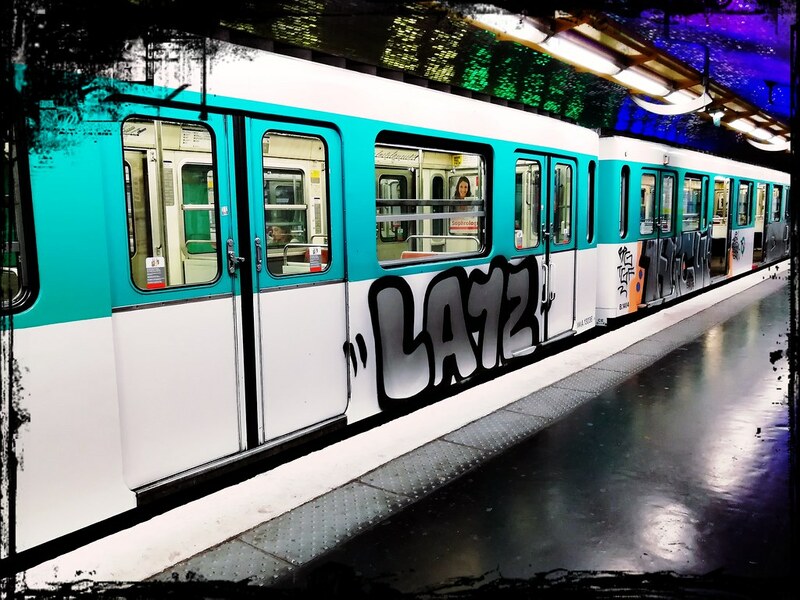 La ligne 12 compte 50 des 138 modèles MF-67 en service. Le nom dérive de “Métro Fer appel d’offre 1967” (Iron-Métro tender 1967). La peinture bleu-vert blanc est typique de ces anciens modèles du parc de métros de Paris. 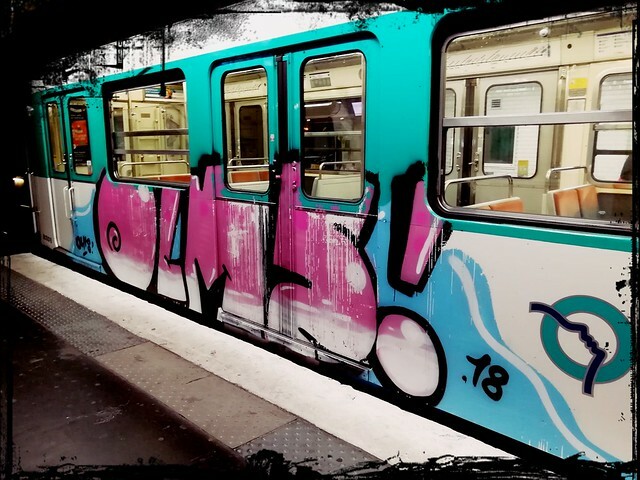 Sur la scène du graffiti, mondialement connue pour son esthétique graffiti, des équipes venues du monde entier sont régulièrement attirées par les puits souterrains de la ligne 12 de la Porte de la Chapelle. 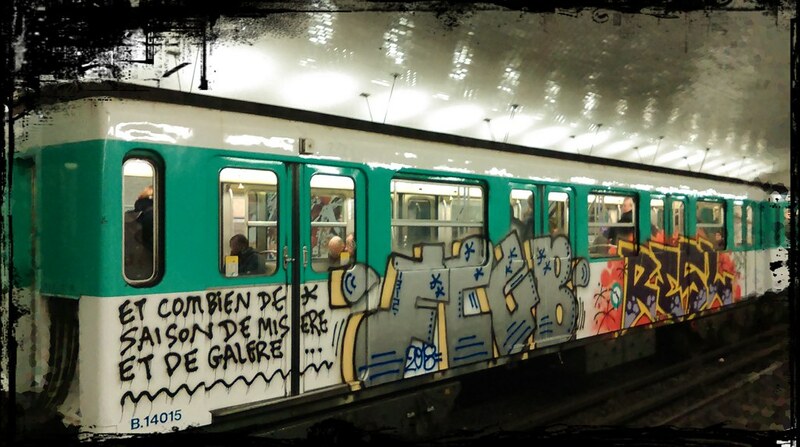 Sur la photo ci-dessous, vous pouvez voir un graffiti de l’équipe portugaise “Reis”. Celles-ci viennent de Lisbonne et se traduisent par “rois”.